In our 55th season we have a rather different flavour from last year, with a wind ensemble, a piano trio and a string quartet. We start with the Aurora Wind Ensemble, which was founded in 1996. 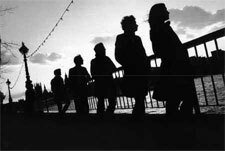 They won the European Chamber Music Competition in Paris in 2001 and have since then performed widely in the United Kingdom, including the Purcell Room and the Wigmore Hall, as well as on BBC Radio 3. They run an education project called Sounds Exciting and perform in hospitals, schools and residential homes. 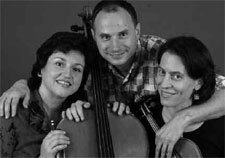 Then in October we shall hear the Max Brod Piano Trio from the Czech Republic, named after a Czech writer. 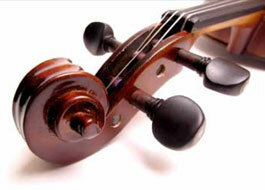 The violinist and cellist studied in Prague and have each performed with a variety of different string groups. The violinist was concertmaster with the Prague Chamber Orchestra. The pianist comes from Germany and now plays solo and chamber music concerts in many European countries as well as in the USA. The City Waites will perform a Christmas programme, which should be particularly entertaining. They sing and play carols and songs from the 17th century. They perform all round the world on concert platforms, radio and television, as well as providing musical backing for films and television documentaries. In February Dawid Kimburg will sing a concert of English and German music. He was born in Johannesburg and came to London in 2001. He has recently been at the opera school at the Royal College of Music, supported by the Countess of Munster Musical Trust. He has performed in many operas and oratorios principally in the United Kingdom. His accompanist, Anne Marshall, is also South African and studying at the RCM under Andrew Ball and Roger Vignoles. Our final concert this season is by the Atrium String Quartet. They were formed in St Petersburg in 2000 and made their name internationally when they won first prize at the London International String Quartet Competition in 2003 at the Wigmore Hall. One of the awards was a recording of Mozart, Tchaikovsky and Shostakovich, which was highly acclaimed. They have performed extensively in Europe, and have since February 2006 been resident at the Dutch String Quartet Academy.